Hello everybody! 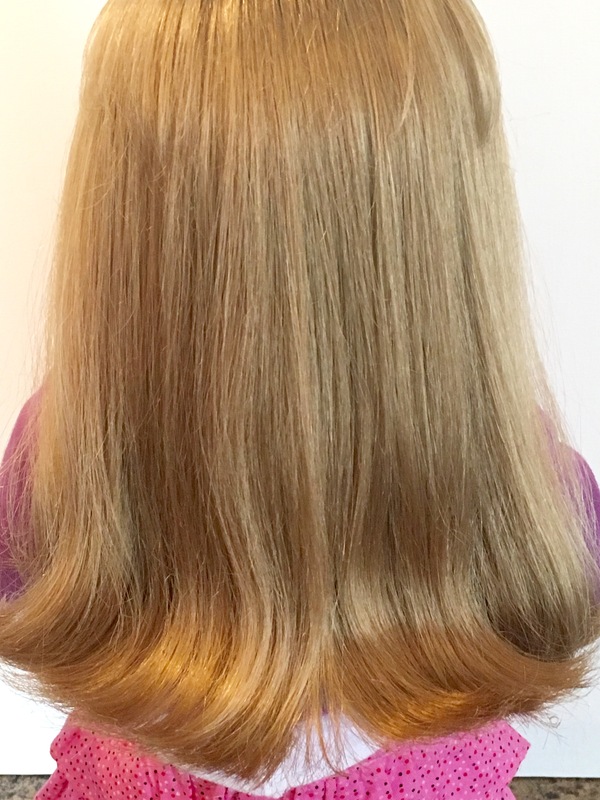 Today I want to talk about doll hair. 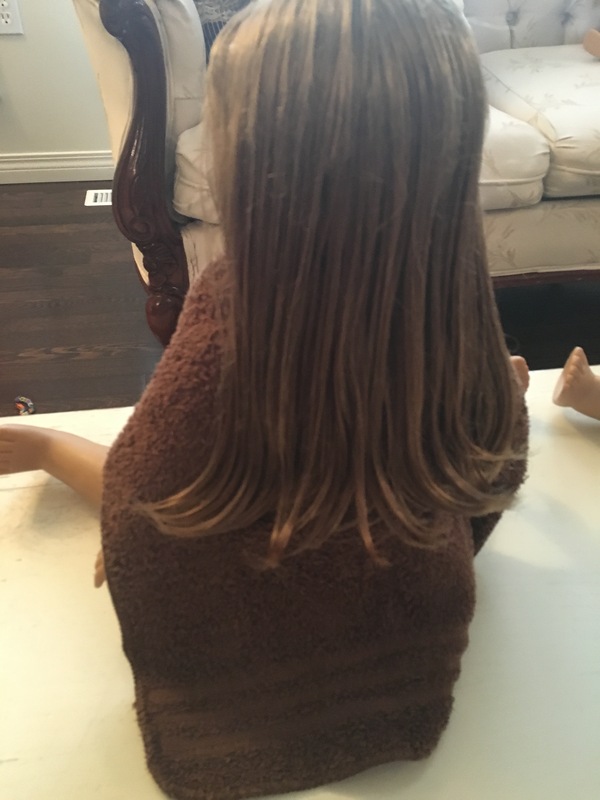 Now, usually with our dolls all that is required is a quick spritz with water and a brush through to make their hair look good as new. Curly doll hair has it’s own issues, but so far our curly haired dolls don’t look too bad. 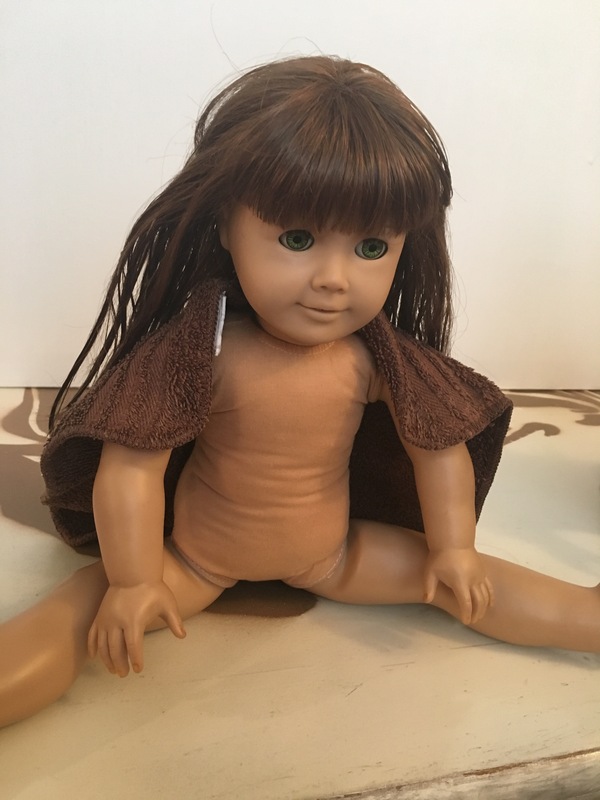 However, there are two AG dolls in our collection that have seen the most play. They were the very first dolls that we acquired, and they were in fairly used condition. Here are their before shots. Their hair was like hay, and in desperate need of a makeover. 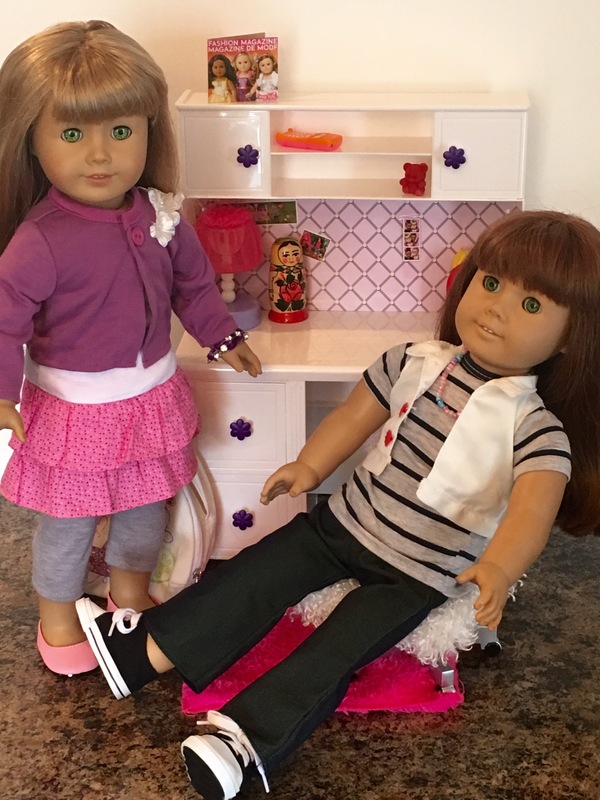 The very first doll that my daughter received was Samantha (on the right). 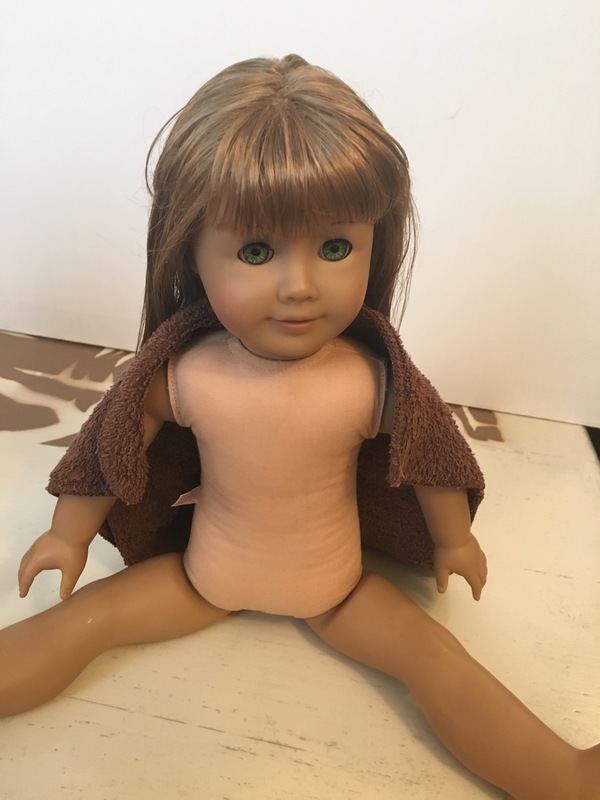 She isn’t a true Samantha doll, but that is what my daughter wanted to name her, and so it stuck. Samantha was an Ebay find that I was able to acquire for a discount rate because she was used. 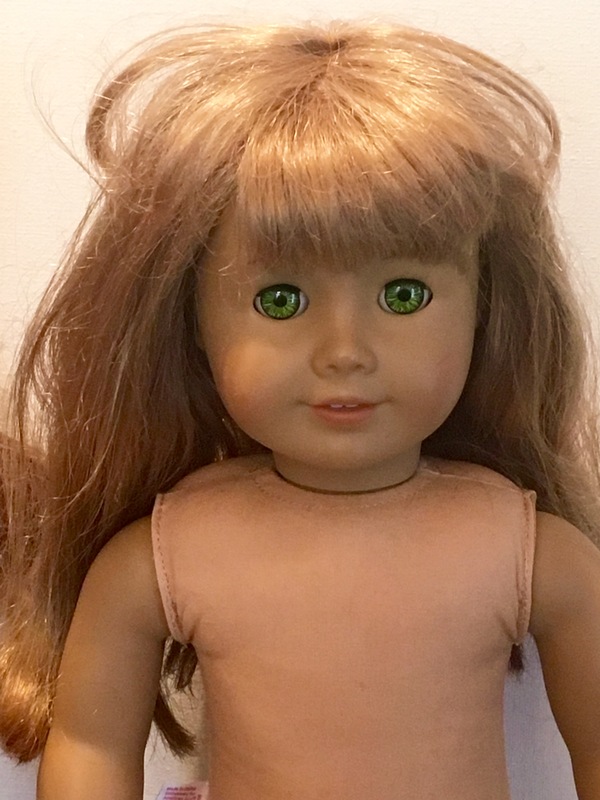 She was the first AG doll in our collection. 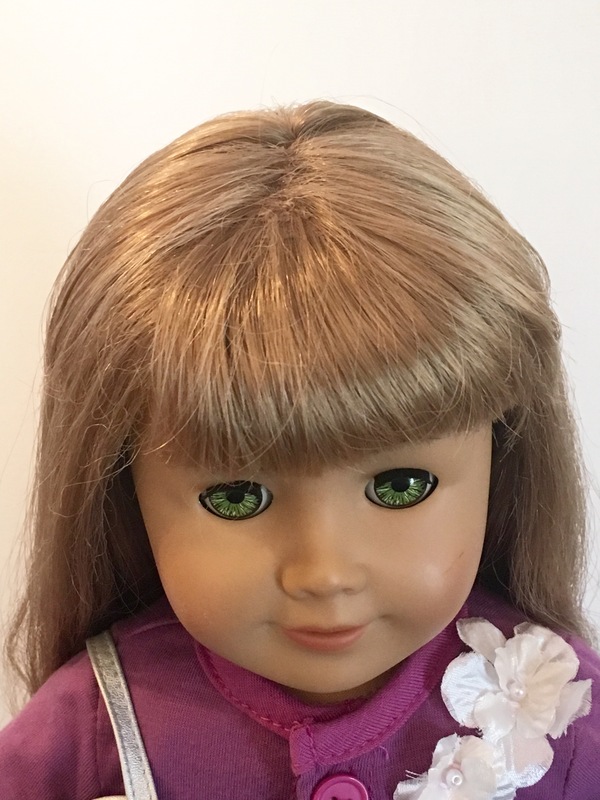 I didn’t want to pay full price for an AG doll until I knew what the fuss was all about, so she was a splurge, and yet she was a bargain at the same time. 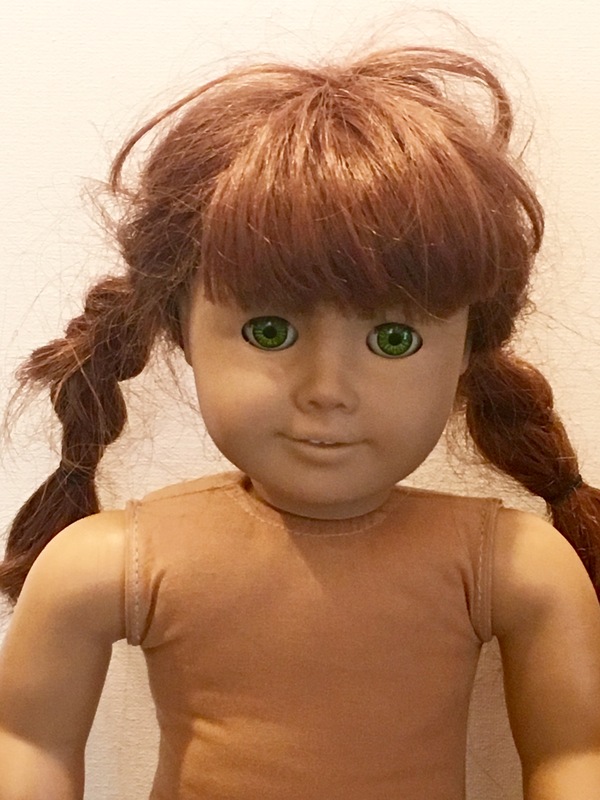 The second AG doll that we want to fix up today is Becky (on the left). Santa brought her to us, but it is clear that she has been previously loved. That’s the wonderful thing about AG dolls. If you take care of them, they will last for years to come. 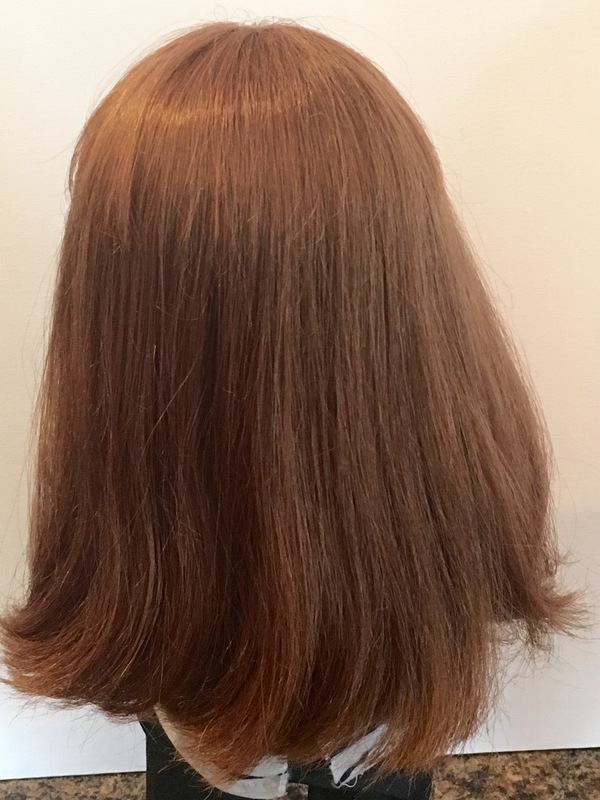 I have seen many tutorials on doll hair fixes using what is known as the Downy Dunk, but there were many cautions against it. I wasn’t prepared to take that chance, since Samantha is still a favourite, and my daughter would be devastated if I wrecked her dolls. Then the other day I came across something that was so simple, it was brilliant. I couldn’t believe that I hadn’t thought of it before. 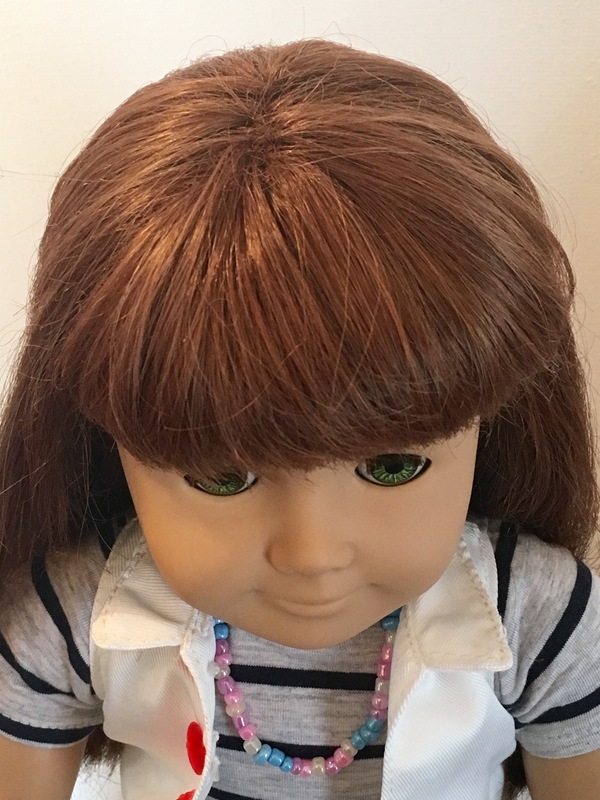 Over at AmericanGirlPlace, she has a tutorial on how to wash and condition doll hair using, you guessed it, plain old shampoo and conditioner! Say what??!! So I could get on board for that. I mean, we use it on our own hair, so it should be pretty safe right? I was convinced. I set to work. 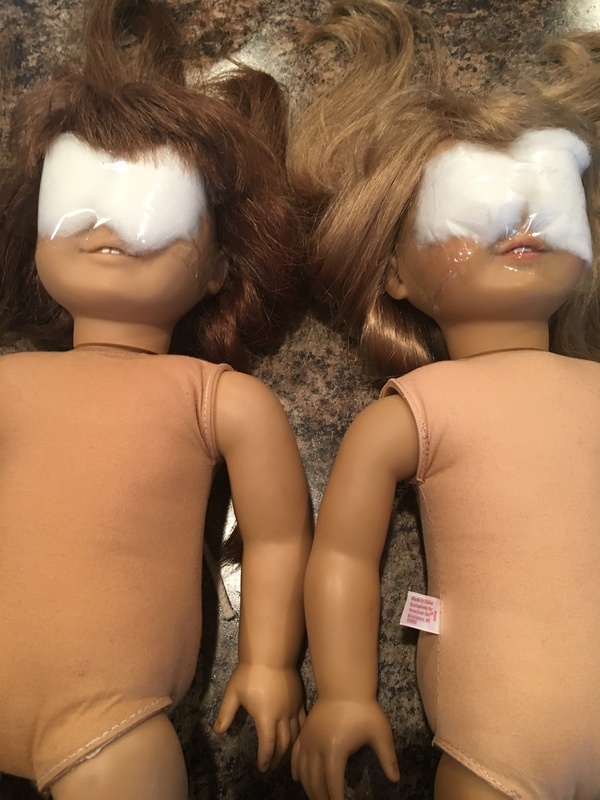 First I laid the dolls down and taped cotton balls over their eyes. You have to lay them down for this because it is important that the eyes are closed behind the cotton balls. Next, I just washed their hair, just as I would my own hair, shampoo first, and then conditioner. Leave the conditioner in a little longer if you like, just make sure to rinse everything out thoroughly in the end. I used my kitchen sink with the faucet sprayer. Her tutorial is really worth a look for extra tips and tricks. 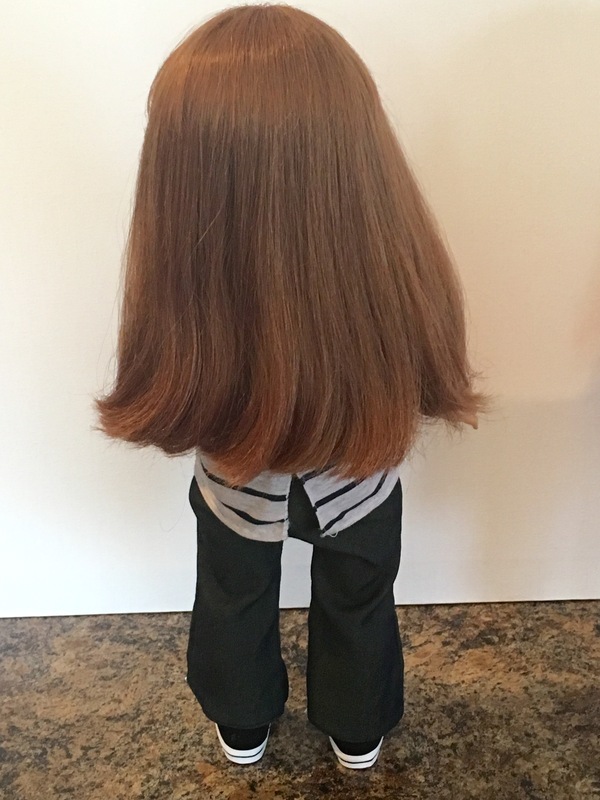 Last, pat your doll’s hair dry, and run a brush through it. I had to trim a few loose hairs as well. 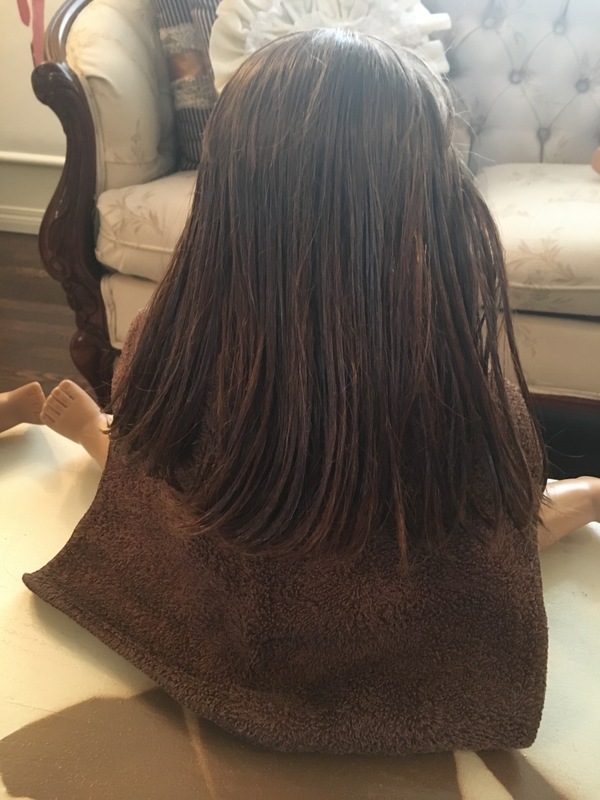 Then I sat the dolls with ‘towels’ wrapped around their shoulders to allow the hair to dry without getting their bodies all wet. Even wet, you can start to see the difference! What I didn’t expect was what happened next. 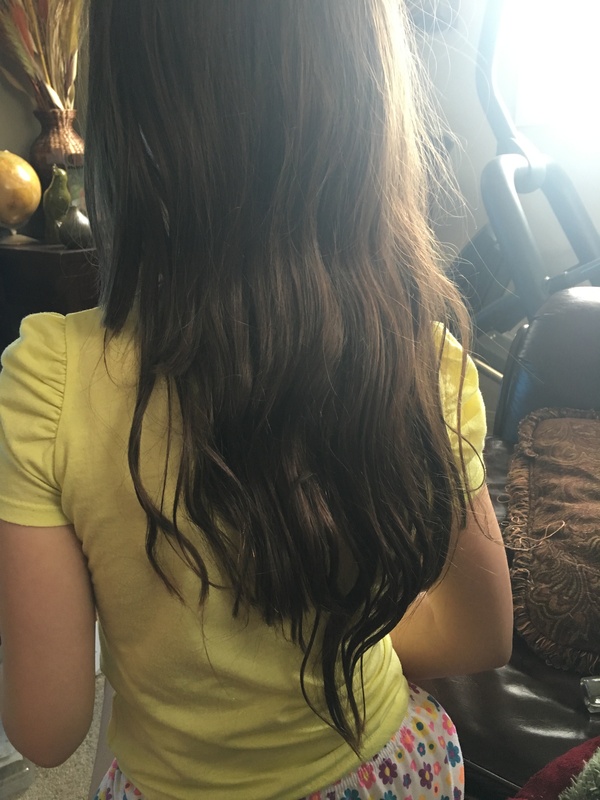 My husband pointed out to me that our daughter’s hair looked ‘weird’. I checked it out, and this is what I found. My girl likes to chew her fingernails. Apparently, chewing on her hair has become a habit too. 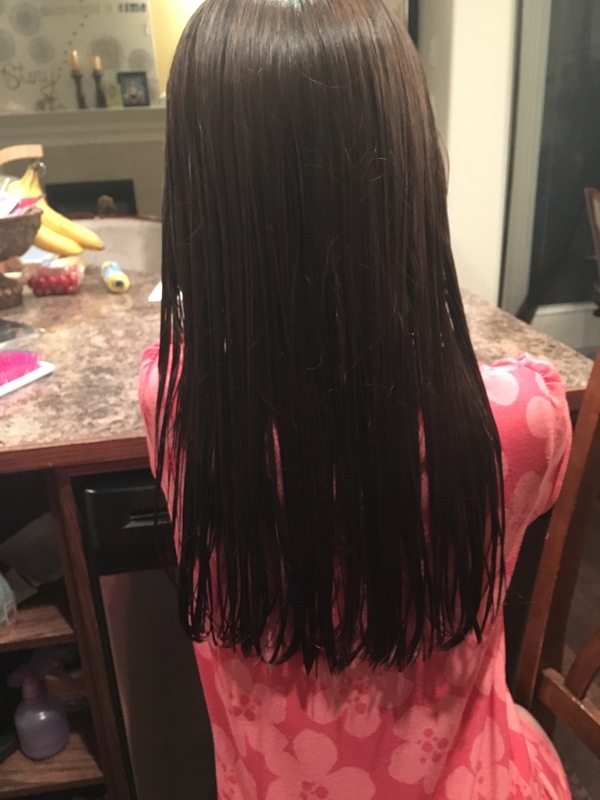 Yes, that long bit in the middle is how long her hair used to be. I guess she chewed off the ends all the way around, but couldn’t reach that last bit in the back. Good thing I was in the middle of doll hair 911. Fixing her hair was easy. Okay, back to the dolls! I left their hair to dry overnight. By morning, it was gorgeous! I mean, it was soft and shiny again! I was more than a little impressed! Unbelievable! 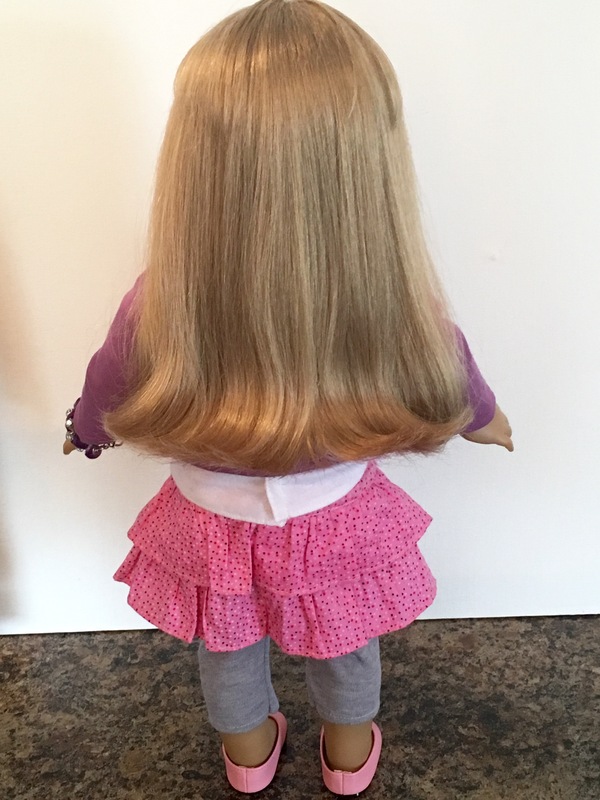 We are so thrilled that our doll’s hair is fixed! Thank you so much to AmericanGirlPlace for a fantastic tutorial that helped us fix up our lovely dollies! Here is a fun photo shoot featuring Samantha and Becky! Click on the images below to enlarge. What shampoo/conditioner did you use?!?? I actually used L’Oreal kid’s shampoo, I thought that would be the least abrasive on the doll hair. I also used Garnier Fructis Sleek and Shine conditioner.